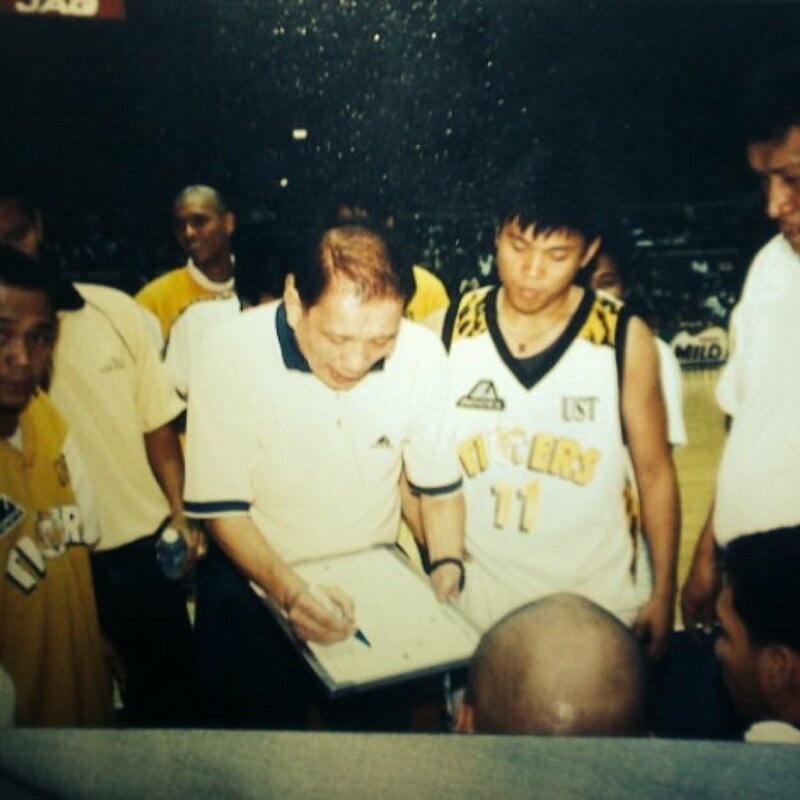 Jino Manansala while playing for UST in the '90s. MANILA -- He was the captain of the UST Growling Tigers at one time while also playing the point guard position. He never played pro basketball but because of his surname, his name might ring a bell. Unless you’re from that España campus in the late '90s and early years of the new millennium and a UST basketball die-hard, you might probably recall the name Jino Manansala. Don’t say it: he’s the son of former PBA star Jimmy Manansala who was the 1978 Rookie of the Year while playing for the Tanduay Rhum Makers. Jimmy, a former University of the East Warriors star, also donned the PBA jerseys of Great Taste where he was a part of some great champion teams, and Shell. Jino took a different path -- balling in New Jersey for high school before coming home to play for UST alongside Alwyn Espiritu, Christian Luanzon, Niño Gelig, and Cyrus Baguio. Then came the urge to coach. “I never had any pressure from my father to play professional basketball although I know he would have been pleased if I did,” shared Manansala during a late lunch at the Sitio Verde in the Tomas Morato area following his St. Clare College Saints’ victory over De La Salle University in the Milcu Got Skills Championship. The older Manansala, who has returned from life in the United States, was in the stands cheering on his son’s team during that rough and tough game against La Salle. His next stint was with AMA Computer College where they won the 2006-07 NAASCU championship. He transferred to the University of Manila in 2010 and led the Hawks to a NAASCU crown during the 2010-11 campaign. 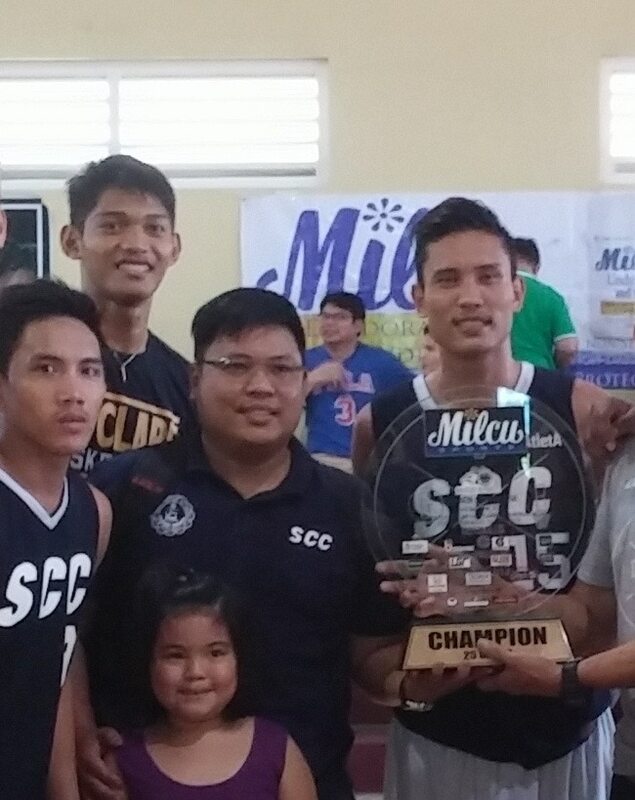 The younger Manansala moved to another NAASCU school, St. Clare College, the next season and won another championship. His Saints lost the next two title matches against the Edgar Macaraya-coached CEU Scorpions the next two years. But with CEU in limbo following Macaraya’s de-camping to his college alma mater, San Sebastian, in the NCAA, Manansala’s team has a chance to re-take the NAASCU crown. The Saints, led by Jason Ibay, Jan Jamito, and Marte Gil, finished their stint in the country’s top pre-season tournament with a 2-4 record. Three of their four losses were decided in the final minute of play, with the only blowout loss coming at the hands of the Ola Adeogun-led San Beda Red Lions. “I think that showed that we just need exposure to go up against the big teams,” recalled Manansala of that tournament. Manansala’s Saints have also recently took home a couple of trophies from three other tournaments underscoring the successful program they have. In fact, two of his players from last season were “acquired” by National University where they are serving out their residency. The St. Clare College Saints don’t run the dribble drive offense. They don’t play the triangle or any of those in vogue offensive systems. “We play basic stuff, pick and roll, screen here, post up then kick out. Nothing fancy. Basic basketball. Not to offend my players but we like to keep it simple. But we teach them to read the situation and make decisions based on what the defense gives them. The only thing I ask them is to make the best shot possible. On defense, we play the usual zone, match-up, man-to-man, what we can do based on the players’ skill set. I am not going to teach them something where we do not have the personnel for that. But as you can see, we’ve been somewhat successful." Most recently, Manansala coached Racal Motors (they won in the Danny Espiritu Cup) in the D-League (after which he was replaced by Caloy Garcia) and applied for the coaching position of UST. But the former Tiger lost out to Boy Sablan. The 2016 NAASCU campaign tips off this August.